Trixie here from Pink Glitter Studio and I'm so EXCITED to be a Guest Designer for Jaded Blossom this month. Thank you Candace and Michelle. 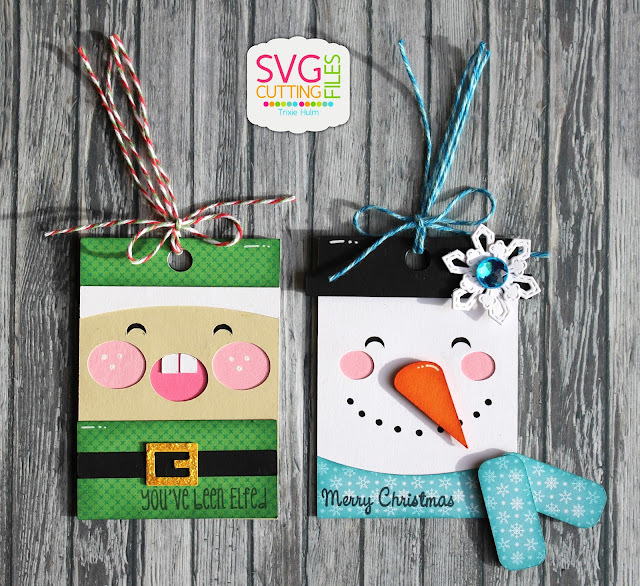 I have some adorable Christmas Holiday Tags to share with you today. These Tags are a brand new file from SVG Cutting Files. Today I used Jaded Blossom's Santa Mail, Winter Wishes and Merry and Bright. I also used the Winter Dies for the snowflakes on my Snowman Tag. I added some Trendy Twine to all of my tags and a gem in the middle of the snowflake. Of course I had to add some glitter and Stickles too. These are SO CUTE! Love each one, but that elf with his buck teeth is TOO CUTE! What great tags. Love that elf with his little buck teeth. Omg, your tags are so darn CUTE!!!! I love them all but I have to say the Elf with the buck teeth is so adorable!!! Congrats on your GD spot at JB! Adorable tags!! Awesome job and Congrats on your GD Spot! Too cute!!! Excellent since gift cards are so popular now. Love all of them! Awesome job! 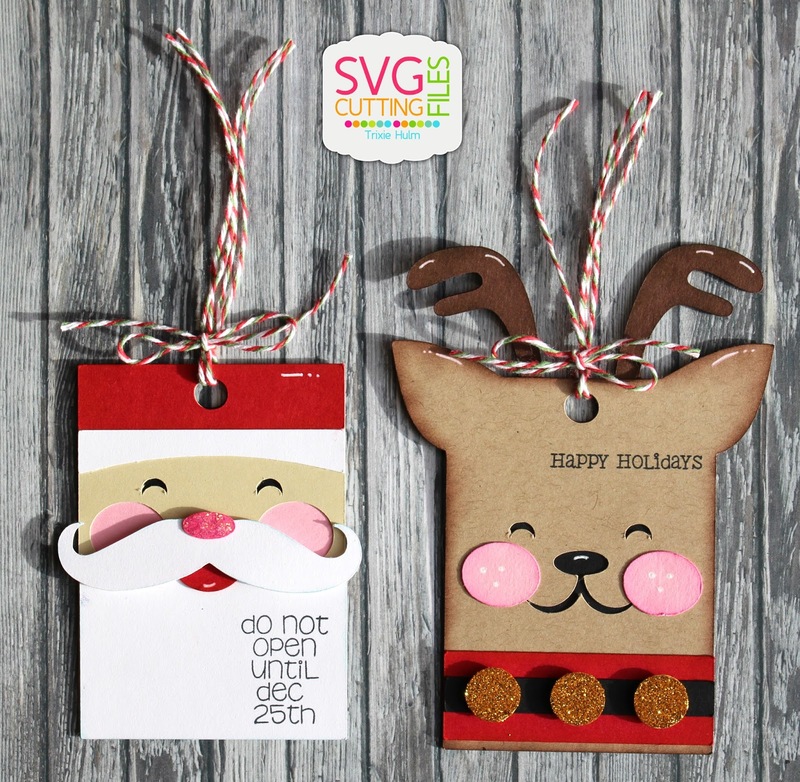 Cute projects, love that mustache! Eeeekkkk so stinkin' ca-ute tags Trixie! I love the toofers on the elf! Everything is so festive! These tags are so much fun! Guest Designer ~ Barbara Rouse! Guest Designer ~ Kathy Salido! Guest Designer ~ Katya Bess!